There’s a lot going on right now. Personally, I’m juggling my usual teaching load and refining the edits to the thesis draft, and having lots of new conversations with trusted friends that are sparking newer ideas that I’m putting to one side for later. At some point soon the grant will run out and I have to figure out getting published and what comes next and earning a little money all at the same time. In any researching and reporting on contemporary cultures, there comes a point where you have to decide ‘this is where I stop, tidy up and publish’. And in my case, I’m in constant dialogue with my research community, because I’m so embedded in it. I care about the flows and upsets and changes within from more than an academic perspective. So the evolving situation in Ashtanga Yoga is really part of the bigger picture in which my thesis sits, and hopes to be some answer to. Not that it’s my job to offer solutions, but I am describing some of the things yoga people do when they start to question the teachings they received, and the authority structures they received them in. All that is easy. What’s not easy is that I’ve been asked to sit with, talk with, hold space for a lot of people in yoga around this issue. I’m coming from a number of useful perspectives: as a survivor of sexual abuse, and as a commentator on changing authority structures in contemporary yoga, that mean I have help to give and things to say people are finding useful. And I appreciate that. It’s work I’m happy to help with. There’s a lot of behind-the-scenes solidarity going on, and that is good. But I’m feeling the weight of commentary and the lack of voices from actual survivors. And that’s important. 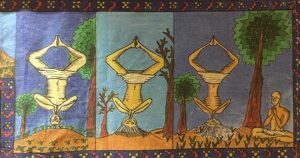 Modern yoga, perhaps more for women than for men, is a space filled with those of us who came to yoga for healing from trauma, and those of us who found trauma within the practice. And there’s a fine line sometimes between the two. How we respond to these kind of revelations is entangled with our own histories in so many ways. Good conversations are being had, but there are also a lot of less well-informed and downright abusive commentaries. Some of them are even from fellow survivors. As a dear friend says, in the end, we’re all good daughters of the patriarchy. Such denial hurts. It retraumatises the victims. It also contributes directly to how these abuses can continue to occur. We need to listen to what they have to say before we rush to fix or explain it all away. There needs to be a pause, a silence, for those voices to land in. The truth is it all hurts. The work is hard, and triggering for all of us. Don’t ever think it doesn’t cost us. Today is not a day when I can offer you some sort of neat commentary, some helpful protocols for moving forward even if it was appropriate. Today is a day when I’m still grieving, still prone to suggesting we just walk away from the whole sorry business and cut our losses. Today is a day when I’m impatient with those catching up to events that some of us have known about for years. Here’s what I can tell you that you might not know: I’m no historian, but I’m not seeing from my academic colleagues anything to suggest that in hathayoga spiritual power is linked to moral rectitude. Let’s try that again. It bears repeating. In the pre-modern tradition of hathayoga, spiritual power is not bestowed upon the most moral among us, but the most determined. At the recent launch of the SOAS Centre of Yoga Studies, James Mallinson told us of a sadhu who stood on his head (on a betel nut) for 12 years gathering tapas, gathering power. The gods asked him to swivel in place before he opened his eyes, fearful of the destructive power that would pour out of his eyes once opened. I’m contemplating why and how it might be that we came to believe that powerful hathayogins were saints, or even healers. How did we translate godmen into saints? How did we translate tapas into medicine? There are academics talking about this from an abstract perspective, but more important right now is remembering those among us that get caught in that mistranslation. Listening to the voices of survivors is painful, and so easy not to do. But it is vital. So here’s some other people you should be listening to. As you do so, a note just for my fellow survivors. Please, take care of yourself, take breaks and take time to absorb it, and practice self care. Don’t be alone with processing this. I see you. I believe you. I know this has been a long time coming. I know that this has been a sudden shock. We have a lot to talk about, when some of us were surrendering to a healing we never knew was possible right alongside others that were being violated further. That’s okay. We have all the time we need to figure out the way forward. There’s a video that’s been circulating for years of the abuse by PJ. I’m not linking to it here because of how triggering and oddly depersonalising it is. I think rather than confronting us with evidence, it encourages us to abstract from the fact that these are real people, in real pain. So here’s a link to one of the earliest disclosures, in this case Anneke Lucas. And here’s more suvivors’ voices, mostly curated by Matthew Remski. Say their names. Hear their stories. Anneke Lucas. Karen Rain. Katchie Ananda. Charlotte Clews. Marisa Sullivan. Michaelle Edwards. Michelle Bouvier. Maya Hammer. Micki Evslin. Diane Bruni. Catherine Tisseront. No, Ashtanga is not the only school to suffer this. Are you ready to see this as a systemic issue yet? Take infinite self-care with how you watch this, and the utmost care with how you respond to this. J Brown has found himself curating a few of the better responses, if you need help processing. Here’s a model for how to respond if you are an Ashtanga teacher and need help talking to students. Here’s something different: a really useful summary of these behaviours, and how they inter-relate, from Inga Muscio. If you’re in the UK, you can join us at a survivor-led event to talk more about the bigger picture, and where we go next, following on from a conversation hosted by Genny Wilkinson Priest at TriYoga. I’d love to see you there. And finally, one small warning. If you’re looking at this from the perspective of a concerned person who’s not a survivor. If you think that the answer is nice tidy protocols and reporting procedures and that you can talk to sensible survivors and experts who will help you draw them up. If you think that maybe you can run workshops on this, even. Know this. Survivors are not known to be a population that will play nice and negotiate with the status quo. Survivors’ voices endure silence for decades. If tapas is all about endurance beyond human limits, the gaze of survivors could flatten mountains. 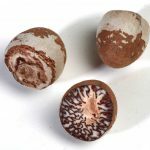 How many years have you been practicing on a betel nut?